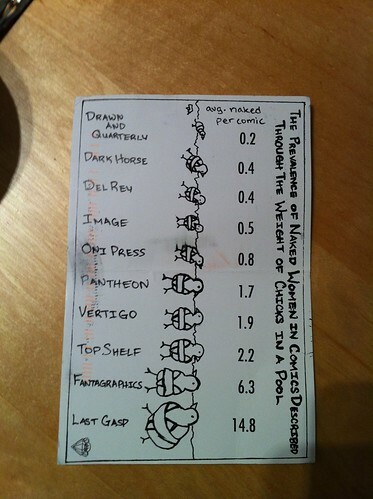 Below: one of the aforementioned postcards - cheers to Jakze for public link! 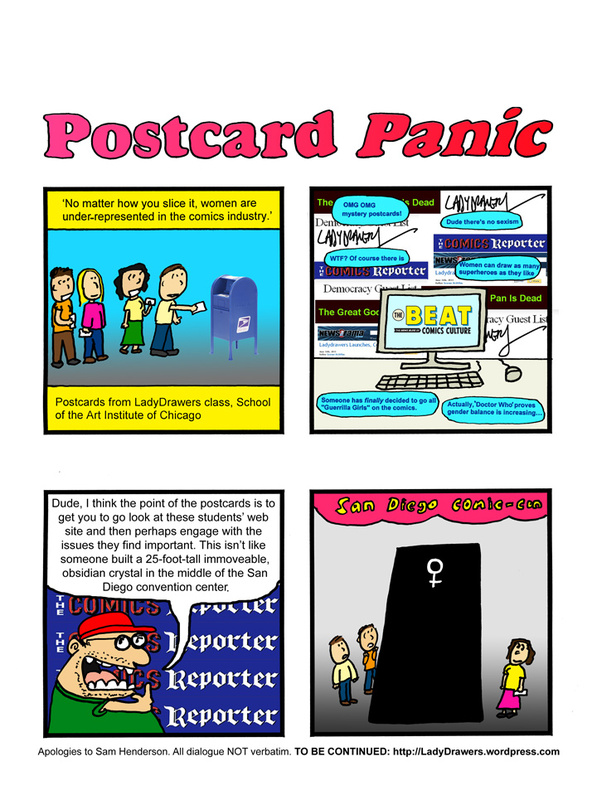 Comic: some very subjective observations about the ongoing conversation regarding comics industry gender bias. As flexible as the web is, I think if one isn't cautious it's very easy to truncate and simplify what could a more nuanced discussion. I would love to get all these folks in a room together and enjoy a spirited discussion. If anyone feels they have been misrepresented*, I'm just here to cast a little levity on the fact that so many people are in denial about gender in the stateside comics industry. And how easily a discussion can go off the rails. Don't take my word for it, go to the source! *You are also welcome to draw your own comic. With all this TALK about comics by comickers, that should be a natural consequence.